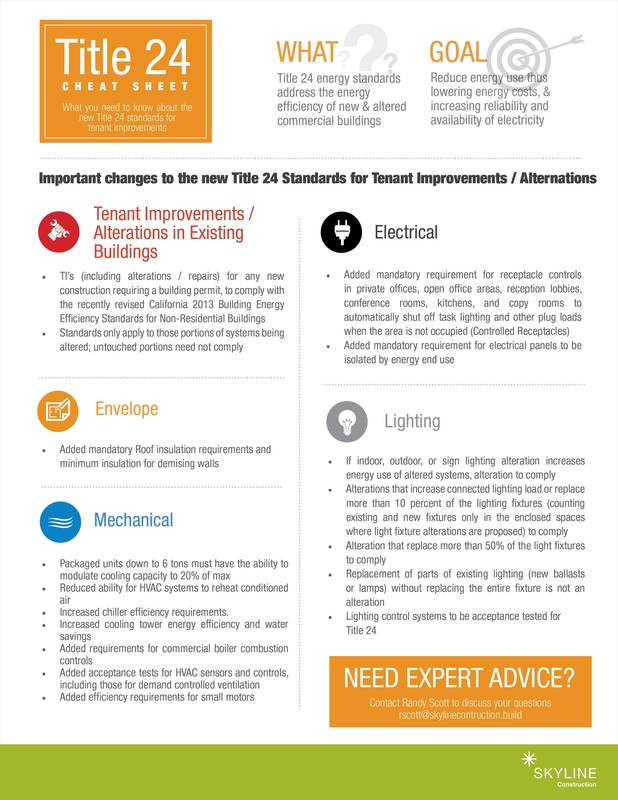 California's Building Energy Efficiency Standards have changed. Codes for lighting, eletrical, mechanical and others have been updated. Everything you need to know is in Skyline Construction's Title 24 Cheat Sheet.